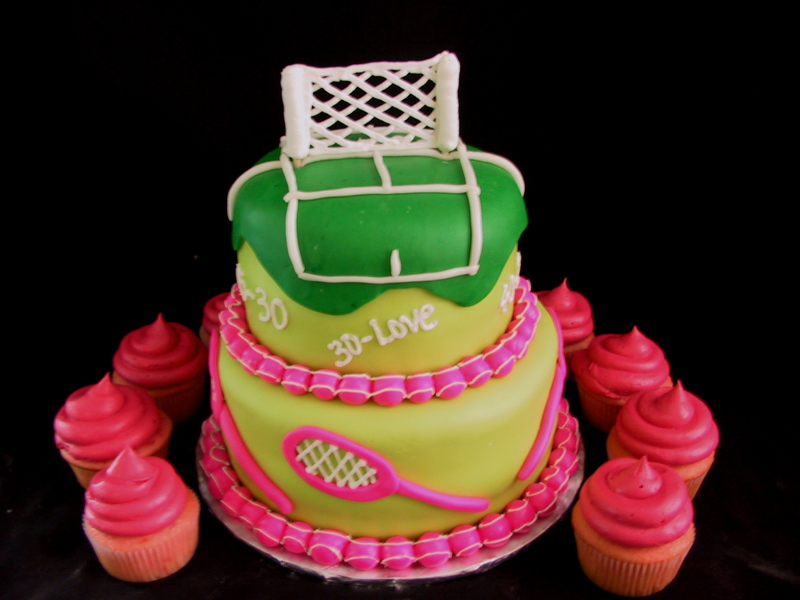 The tennis court birthday cake was created for a party in Louisville, KY. The lower tier was a spice cake with a fresh apple filling and a dolce de leche icing under the fondant. The top tier was a white cake with fresh lemon filling and a vanilla butter cream under the marshmallow fondant. The cupcakes were strawberry with a fresh strawberry filling and a cream cheese icing. The net was created out of royal icing and allowed to dry for several days. 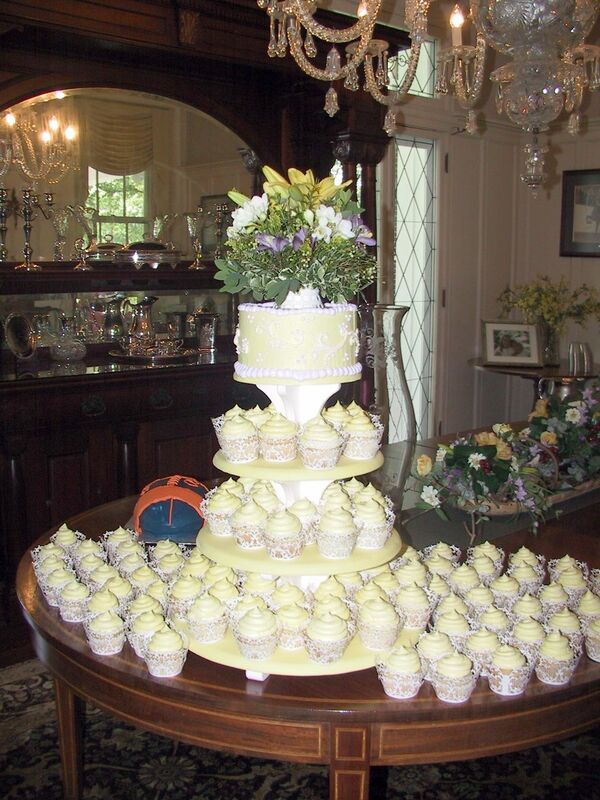 The pink tennis balls were made from fondant and then decorated with royal icing. This Parisian inspired bridal shower cake was created for Taylor Made Farms in Lexington, KY. The cake was 2 tiers with a white cake with a bavarian cream filling with fresh strawberries. The second tier was a strawberry cake with a fresh strawberry filling. 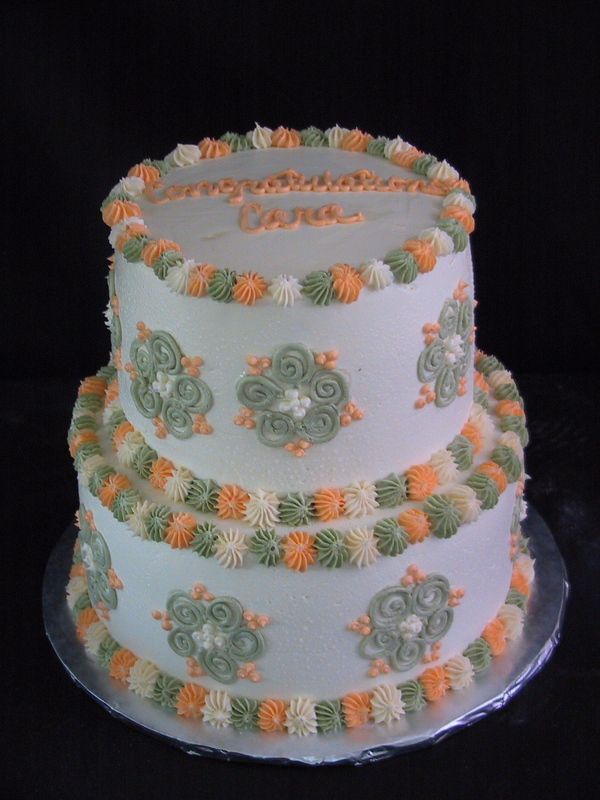 The design is all hand piped in a sage green, a pearlescent orange and a champagne. 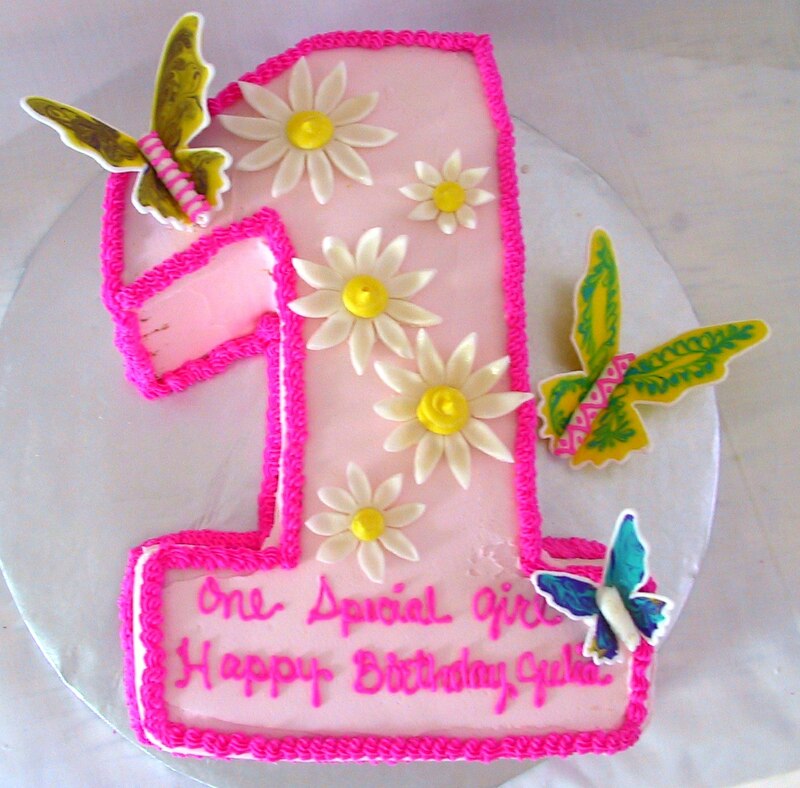 We created the butterflies out of royal icing for this girlie 1st birthday cake. 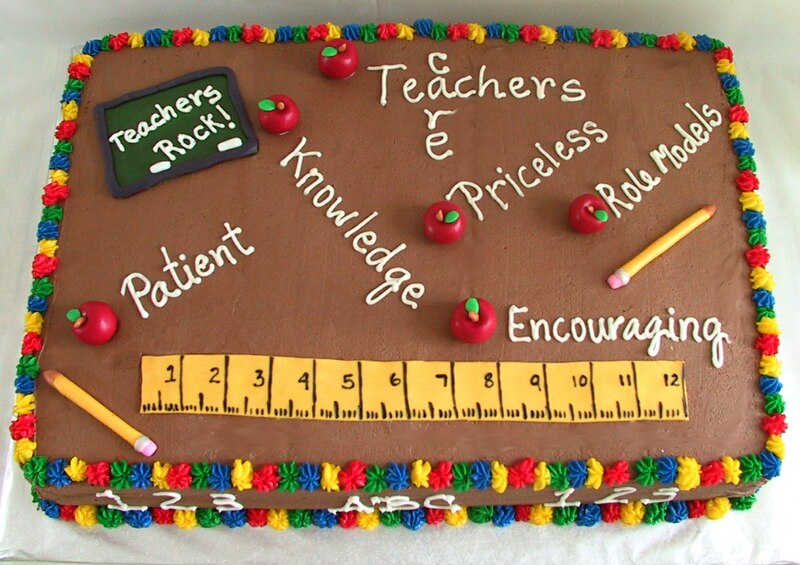 The teacher appreciation cake is chocolate with a chocolate ganache filling and chocolate buttercream icing. Definately and chocolate lovers dream cake.